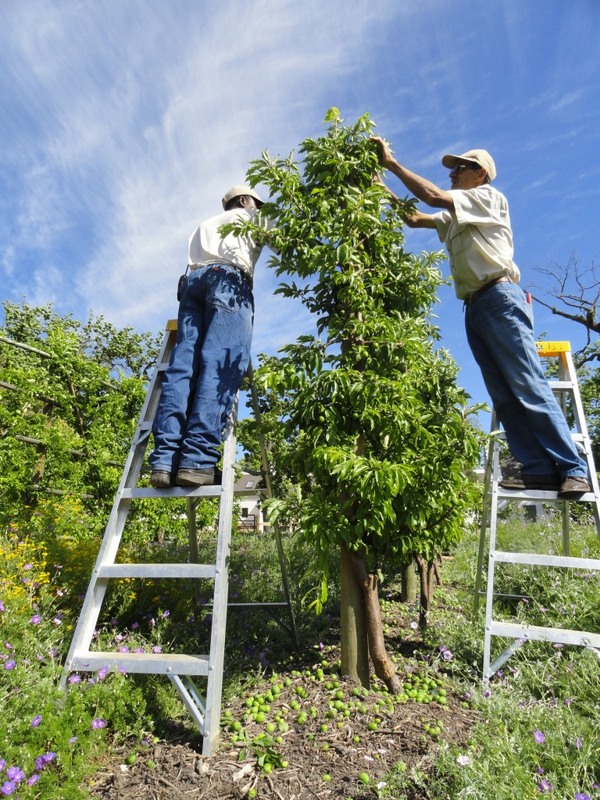 What’s the relationship between the busy-ness of the bees and the time people at Babylonstoren spend up a ladder? 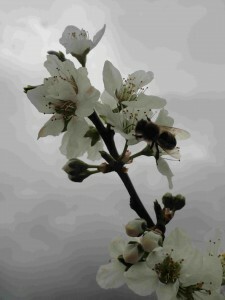 Well, thanks to the bees’ excellent pollination of the plum flowers, we’ve been spending a lot of time up ladders in the garden and on the farm, thinning plums! Our plum trees are full of small marble-sized fruit that we have been thinning out over the last few weeks, selecting only the best fruit to mature. 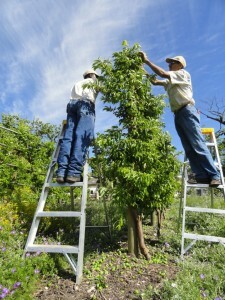 First we break off the smallest fruits, and any that have been damaged, leaving about one hand-width between fruits on a branch. So now we have hundreds of little green fruits lying underneath the trees early in the season, while the best fruit get to ripen up above. 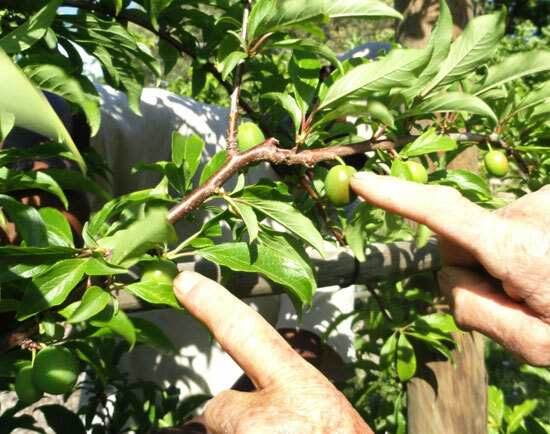 The young fruits are growing fast and we are anticipating our first ripe plums in early December.